Thanks for the link love Shirley! 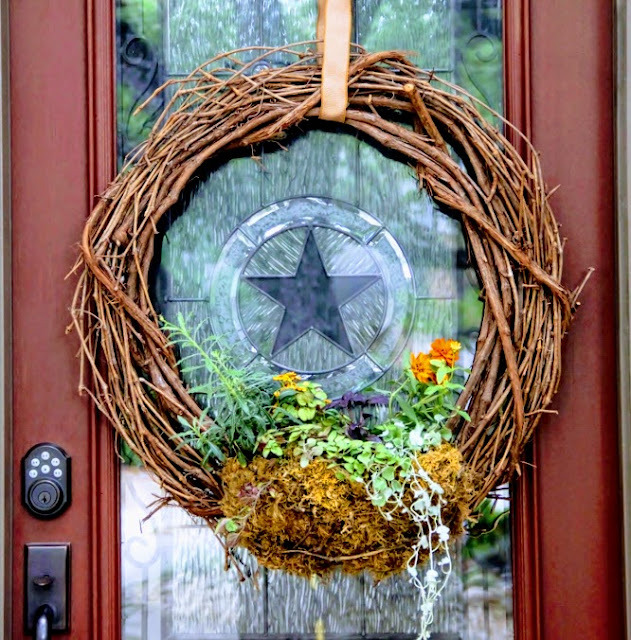 Your wreath is fabulous and looks amazing framing the Texas star in the leaded glass on your front door! Happy Easter to you too! Thank you Peter and keep going with those inspiration posts. that silver ponyfoot is such a covetable plant!! I see it used in planters all over the world and especially here since it is a native plant to Texas. The green variety grows naturally in my yard. Wonderful! I remember admiring that wreath on Peter's site, then promptly forgot about it. Your version is lovely. Happy Easter! Thank you Kris. I often forget to do things I see in posts but this one just seemed to come together easily. That's beautiful, Shirley. Happy Easter! What a fun idea! And I love the fact that you picked up the wreath on the curb! Great combo! It was perfect. I have several but they were too small for this project. As you know we have some pretty nice trash in the'hood. 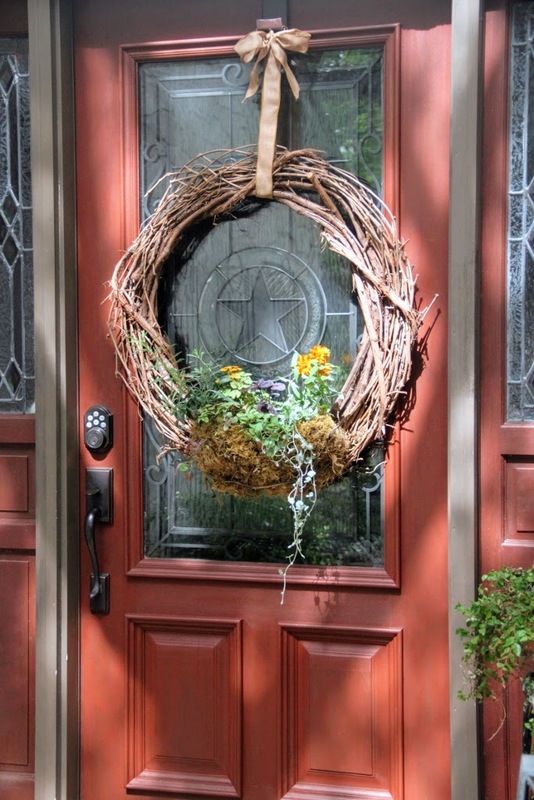 The wreath is beautiful..I'm inspired to create one too. Thank you Jack, it was fun to give the idea a try. Happy Easter, Shirley! 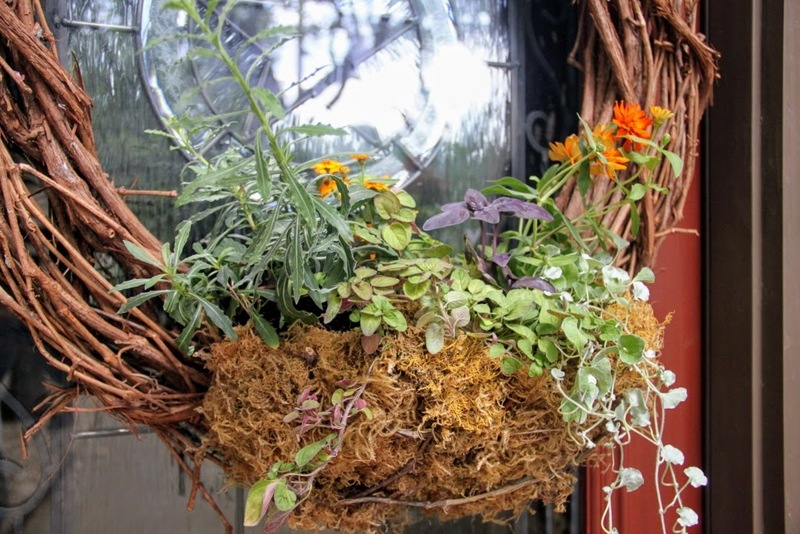 Kudos on repurposing! Thanks Alison, it's amazing what gets tossed out around here. Happy belated Easter to you...the wreath is excellent, especially with that door and the stained glass. Nice to see something other than our Zia sign everywhere!